PORTLAND, Ore. (AP)—An Oregon hotel said it fired two of its employees for mistreatment of a black guest who was talking on his phone in the lobby when he was asked to leave a week ago. 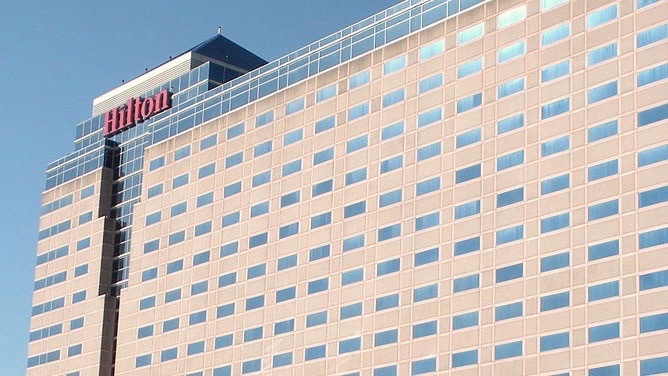 DoubleTree by Hilton hotel in Portland said in a tweet Dec. 29 that they have “terminated the employment of the two men involved.” They said the men’s actions “were inconsistent with our standards & values.” The hotel didn’t identify the employees. Jermaine Massey accused the hotel of racially profiling him after a security guard called police to remove him from the lobby Dec. 22. He was staying at the hotel, and his attorneys say they want a public explanation and intend to pursue legal action, Oregon Public Broadcasting reported. On Dec. 28, the hotel apologized to Massey on Twitter, saying the employees involved had been placed on leave and an investigation would be done. A day later, it said two workers were fired.